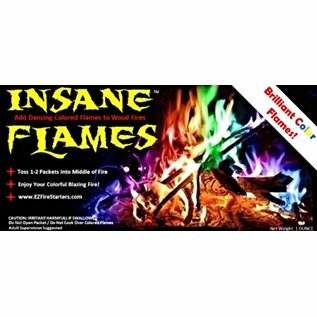 Add dancing colorful flames to any wood burning fire instantly! Throw unopened pack directly into middle of a hot well lit fire and enjoy the show. Colors normally last for about 45 minutes. Created by Eggies in New Hampshire.